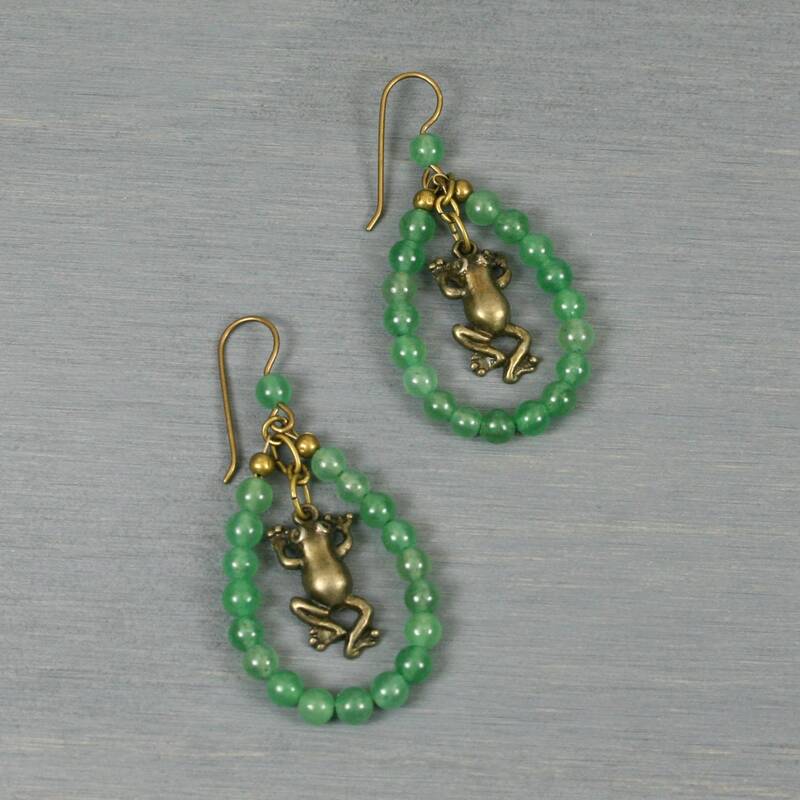 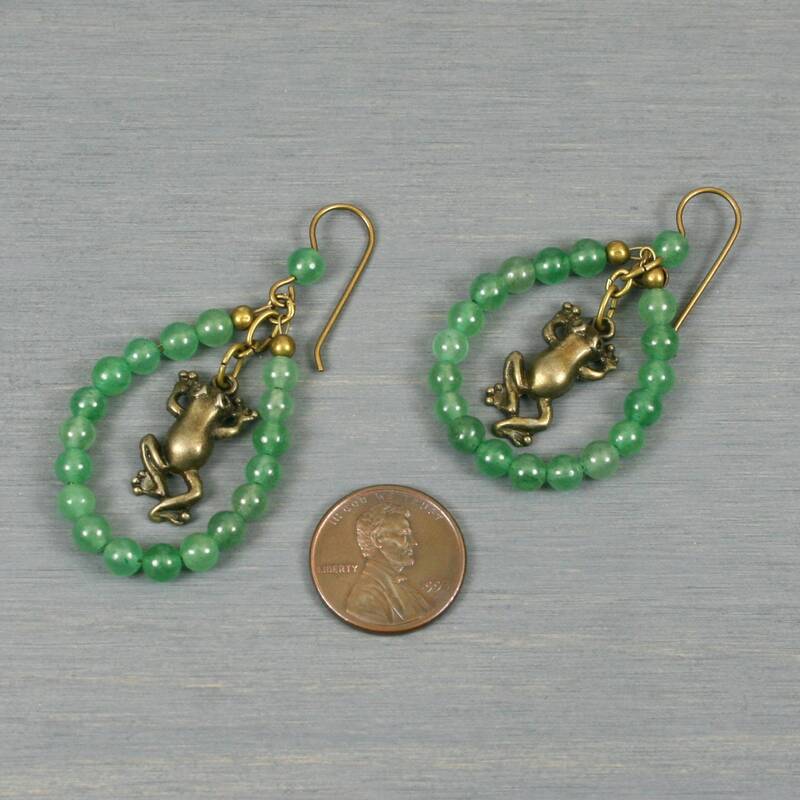 Each earring contains a bronze leaping frog hanging inside a loop of round (4 mm) green aventurine beads. 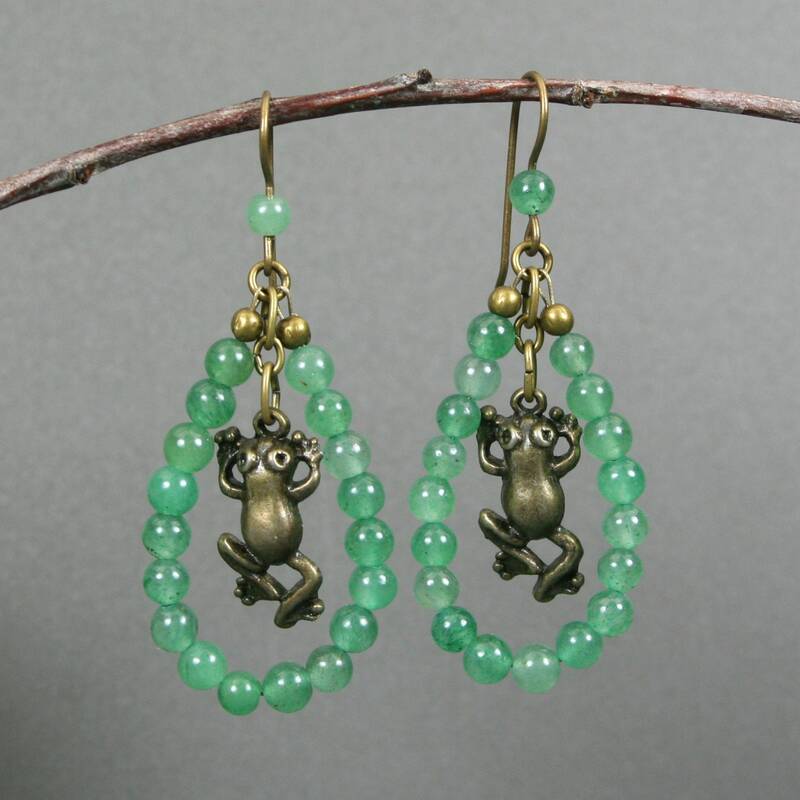 The frog and "lily pad" loop of green aventurine beads dangle from antiqued brass ear wires with a green aventurine accent. 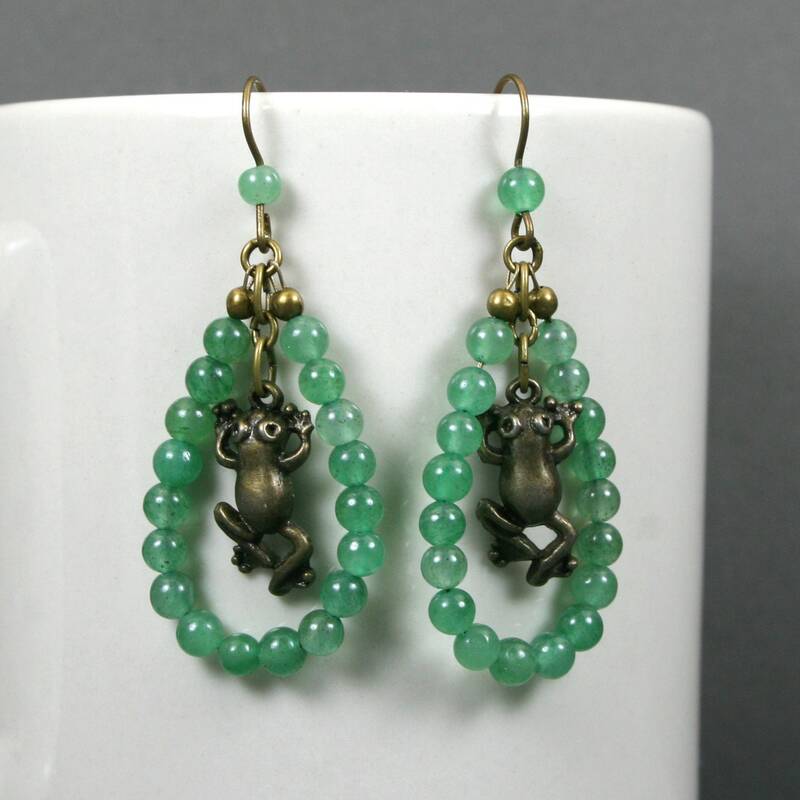 The bottom of the earrings dangle approximately 60 mm from the top of the ear wire.